Halloween is prime time for brands to flex their creative muscles and take their advertising truly out of its comfort zone. FMCG brands, in my opinion, tend to create some of the best overall marketing materials around, and Halloween is no exception. The increasing popularity of the holiday in the UK has grown exponentially over recent years, with the hype crossing the Atlantic thanks to our American cousins and infecting every household up and down the UK, like some kind of 28-Days-Later-style virus. I mean, it’s not something to be sniffed at, it does mean that we get creme eggs twice a year now rather than once over Easter and it’s also a great excuse to overindulge on candy for one night whilst watching reruns of Hocus Pocus. The first M&M Halloween ad in a while (11 years to be precise) and although its nothing particularly cutting edge, it’s still pretty fun. You can always rely on Mars to put out something that’s a little different and cheeky, and the M&M ads are no exception. At only 15 seconds, the new installation keeps in line with the long-established persona’s of Red and Yellow, with the payoff being subtle. Mars prove that they’re clued up with popular terminology, by utilising the term ‘ghosting’ to describe the ad which presents the two M&M’s leaving a party, seemingly unscathed, when Yellow’s begins to exhibit etherial symptoms. Following a conversation regarding “not getting eaten”, the camera cuts to show Yellow, with a big bite out of his head as the pair walk off into the distance. 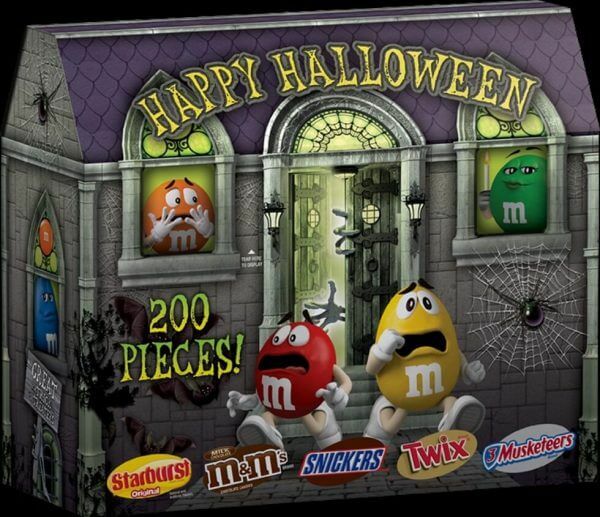 The brand wanted to bring excitement and humour to the holiday, as they are known to do throughout the rest of the year, to increase brand awareness of the product and encourage customers to enjoy M&M’s over the holiday season. 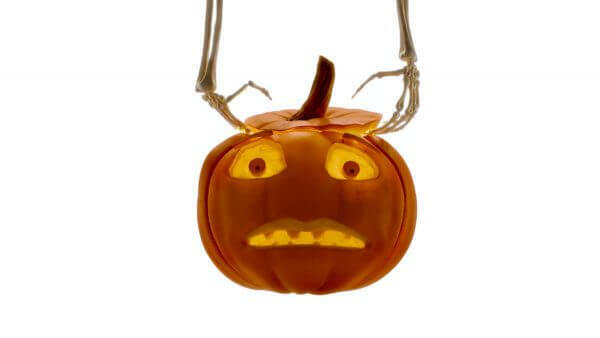 And the moral of the story… not all candies will survive this Halloween! Traditionally in the US, and more recently in the UK, Reese’s are recognised as the go-to-candy brand of choice at Halloween. The packaging distinctly matching the iconic Halloween colours and the unmistakable peanut-buttery goodness that has some wonderful autumnal feels about it, its no wonder that the sweet treat has seen a spike in purchases. With purchases of Reeses up this Halloween season and 17% of consumers admitting to dropping the brand name into recent conversations, which is up by 3% from the previous year. 29% of US consumers over the age of 18 are also aware of the Hershey owned product advertising appearing over the past two weeks, up by 9% the previous year. The brands #NotSorry campaign has seen a 37% increase in consumers noting that they would be open to purchasing a Reeses’s product in their next shopping trip, which is up by 4% from the previous year. The iconic Halloween treat has successfully capitalised on its synonymous association with the holiday this year, demonstrating how a well-coordinated market strategy can really pay off. The campaign launched in June as a response to the ‘Sorry, I was eating a Milky Way’ campaign, which was released by competitor Mars, way back in 2012. Building up the brand awareness through subtle and coordinated ads, over a series of months, the 15-second shorts featured the well-known voice of Will Arnett; perfectly tailored to target the Millennial generation. The ads do a great job of reminding customers of their love for the product through simplicity of the visuals whilst offering a little humour at the same time. Now watch these ads and tell me it doesn’t make you instantly think of Bojack Horseman… and obviously leave you hungry for Reeses. Alcohol, AKA candy for adults, is also now making a more regular appearance as a Halloween special guest. Bacardi has always seen Halloween as an opportunity to really engage with the customers, with the date described as their ‘biggest occasion’ by the director of creative excellence, Laila Migoni. This year, the brand truly got into the spirit on Halloween with a short horror-movie style video. Taking inspiration from infamous film spots from The Ring, The Shining and Psycho, their creation of ‘The Zombie’ told the story of a mysterious VHS tape, labelled with only the iconic Bacardi bat logo. This super simple retro-inspired ad features traditional horror movie magic, including uncomfortable scenes featuring fruit, sketchy cuts and textures layered to create this short film. 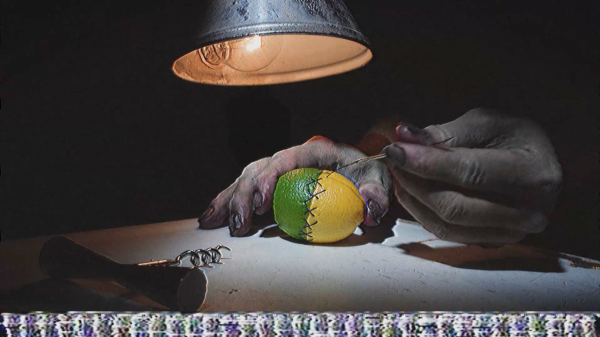 The basis of the advert is to present instructions of how to make Bacardi-based cocktail; The Zombie, in an original and creative way. Using a first-person view to simulate the scary-movie scenario in a creepy 70’s style lounge, the ad combines a hint of old-Hollywood B-movies with the quirkiness we’ve come to know and love from Bacardi. Is everyone just plying to appeal to Millennials this Halloween? Because it damn well feels like it. So if you care to be whisked back to your childhood, then get ready for a whirlwind of memories to come flooding back when you hear the chosen track from this years Sainsbury’s Halloween entry. With a soundtrack plucked from everyone’s favourite Australian tv show; ‘Round the Twist’, Sainsbury’s chose to work with Mark Waring, the animation director from Wes Anderson’s Isle of Dogs, to create this fierce lip-syncing pumpkin advert. The spooky stop-motion entry features products from the supermarkets’ Halloween range and will bring back a good hit of nineties nostalgia for Millennials, and likely some happy memories for their parents alike. The pumpkin appears pretty creeped out by the whole affair as he’s slapped with goggly glasses, terrorised by hairy spiders and spooky skeletons, but the whole thing is pretty wholesome and enjoyable to watch and will certainly set the sentimental cogs in motion for many of us. Okay, so it’s not FMCG but I felt that including this retro addition to the list was essential. 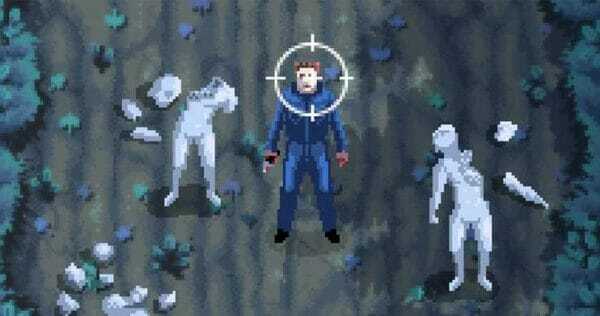 The brand new Halloween mini-game is free to play and throws the user into their own escape from Mike Myers scenario, styled up like an 8-bit arcade game. This interactive entity is a promotion of the latest instalment to the franchise, which looks to completely disregard all of the previous sequels and picks up 40 years later. The movie focuses on Laurie Strode who is still suffering the after-effects of the nightmarish hell she experienced so many years before as she prepares for Micheals inevitable return, resulting in one epic showdown.